​The Reeves family has been farming in Baldwinsville, NY since the late 1800's. 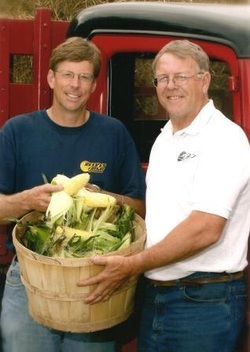 Today the farm is operated by brothers, Brian and Mark Reeves along with several other family members. They produce a wide variety of organic and conventional produce including strawberries, summer squash, peas, blueberries, tomatoes, sweet corn, peppers, eggplant, and winter squash.